Have you ever needed or wanted to mark an image as yours to prevent others from duplicating it and/or claiming it as their own? You might already know that this is called watermarking. The process is pretty simple, but finding an efficient, easy and inexpensive way to watermark photos isn’t always as simple. 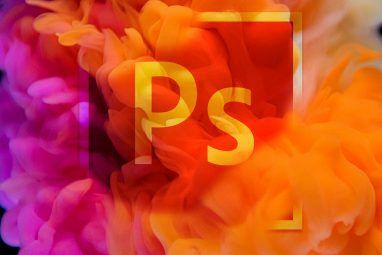 There are some very powerful do-it-all photo editors out there, such as Photoshop, which can watermark photos How to Watermark Images Using Photoshop How to Watermark Images Using Photoshop There are several options on how to watermark your images online, but using a web app can have its drawbacks. Instead, here's how to use Adobe Photoshop to make watermarks. Read More . But there are two common issues with these. One, they’re expensive. Two, even if it’s a free alternative, like GIMP, the process still entails a lot of tweaks. In this article we’ll cover both online and offline methods of watermarking images. PicMark is a modern designed website that allows you to add a text and border in the form of a watermark to the image. After you’re happy with the changes, you are given the option to share it to Facebook, Pinterest and Twitter. Picmark does not support batch editing, image watermarking, nor does it offer a premium account. It does, however, offer text watermarking. Not to be confused with the former, PicMarkr imitates the Flickr theme and allows you to publish photos to Flickr as well as Facebook and Picasa after the editing is complete. You are allowed to upload 5 images at a time at a total size of 25MB or less. After you’ve uploaded your images, you can also opt to resize them before adding the watermark. PicMarkr gives you three watermark options – text, image and tiled. Text mode allows you to type in whatever you’d like to be read on the image. An image, such as a logo, can be uploaded and added as a watermark. The titled function repeats the watermark throughout the image instead of just one place. In addition to sharing to Flickr, Facebook and Picasa (which you need to log in for), you may also just download the image. PicMarkr supports batch editing (5 per upload), text and image watermarking and offers a premium account with more options. When uploading images to Watermark Tool, you have the option of the multiple file upload or the classic, one-by-one upload. Note that the image must be no larger than 200KB, so you may have to resize your photos prior to uploading them with to this website. When personalizing the image, you are given quite a few options for the text watermark feature which is very nice. However, the image watermark feature is only available to the “WMT Plus! members”. Lastly, you can view and compare your image. To save it, simply right-click on the watermarked photo and click “Save as…” Honestly, I don’t feel that Watermark Tool is anything special. It’s not bad, but with just an average interface and few features, it’s nothing special. Watermark Tool supports batch editing, text watermarking (also, image watermarking, but only for premium users). WaterMark.ws provides a modern interface and solid features. You can upload several images at once, but they must each be under 500KB. WaterMark.ws allows you to add either text or an image as a watermark and the text can be customized not only in the font and color, but in its angle and percentage size compared to the image. You also can choose between a single or titled watermark. You can also resize and compress the photos too. To download the photos, you will need a zip file reader. 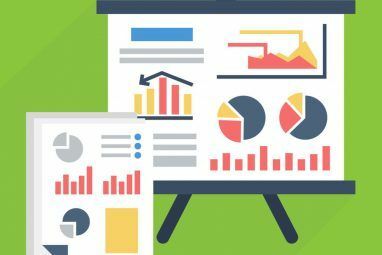 We recommend 7-Zip 7Zip: A Free Program to Unzip Uncommon Archive Formats 7Zip: A Free Program to Unzip Uncommon Archive Formats Read More here at MakeUseOf. Some pretty neat, modern features. Integration with social websites for sharing. Relies on a good Internet connection. Limitations for uploading such as size and amount of files. You might not think of Picasa, the well known photo manager Picasa - Still The Best & Most Versatile Photo Manager Available Picasa - Still The Best & Most Versatile Photo Manager Available How many photos would you say you have? More than a hundred? Six hundred? A thousand? Pictures are a big part of all of our lives, but there is else something which is equally important... Read More , as a program that can watermark your photos, but it can. It does it in a slightly different way than the rest though. As you can see in the image, it’s more of an automatic option for photos which are being synced to Picasa and Google+. There’s no image option, just text. And the text is strictly text – no additional options. It’s quite limited and simple, but a great tool to have automated watermarking and not worry about it. Picasa supports batch editing and text watermarking, however there are no additional options. It does not do image watermarking, nor is it portable. Picasa is compatible with Windows and Mac operating systems. We’ve all heard the phrase “Don’t judge a book by it’s cover.” TSR Watermark is like that for me. I was planning to be disappointed in it with its mediocre website, but when I ran the program I was quite impressed. The interface isn’t fancy, but it’s simple and easy to use. Not only that, it has a lot of features, some of which I didn’t even consider when thinking of what was needed in a watermarking program. You can watermark with an image, text or effect as well as use multiple ones. For instance, if you’d like to include an image, effect and text, you can. You can also edit the transparency, watermark location, angle, insert symbols or image information, etc. You are also offered many options for saving and how you’d like to save it. These options are sometimes overlooked, but very nice to have when editing photos. TSR Watermark supports batch editing, text and image watermarking. There is also a portable version to download, as well as a pro version. TSR Watermark is compatible with Windows. WaterMarkLib is a simple program that can batch edit and watermarks with text and images. The tools themselves work fine, but the program comes with its annoyances. It displays a resize option in the bottom right corner, but doesn’t work (or didn’t for me). Also, when it loads, it was larger that my screen. I had to move the program around in order to see the features. I don’t like programs that don’t conform to my screen so this was definitely a negative. Usually if I’m doing some photo editing of any kind, I don’t want the window to be the only window I see, let alone just be plain annoying. But I’m not done. You should be aware that the CNET installer offers several “crapware” options through the installation so beware of those A Simple Checklist To Safely Installing Free Software Without All The Junk A Simple Checklist To Safely Installing Free Software Without All The Junk Picture this - you've just found this awesome free software that you are stoked about because of all that it can do for you, but when you install it, you discover that it is packed... Read More and uncheck them, should you decide to download this program through that route. The way around this is to click on the “direct download” link under the big green CNET installer button. This will download the program compressed in a .RAR file which you can open with 7-Zip or your preferred unzipping program. So to answer the question “does this work well?” – yes, but I find the other aesthetic annoyances overpowering and don’t understand why you would want to use this when there are other programs available. WaterMarkLib supports batch editing, text and image watermarking, but does not offer a portable or pro version. WML is only compatible with Windows. Alamoon Watermark is a decent watermarking tool if you only need to watermark with text and one image at a time. The interface is easy to use and the process is simple. The text watermarking tool offers several great features that are necessary to be competitive. However, if you want a free watermarking tool that does batch editing and image watermarking, you will want to look elsewhere. In addition to watermarking, Alamoon Watermark also can convert the file to a new format, let you choose where the destination folder is and also resize the image. Alamoon Watermark doesn’t support batch editing or image watermarking in the free version, but does support text watermarking. There is a pro version available for download, but not a portable one. Alamoon Watermark is only compatible with Windows. uMark has a very nice, easy to use interface that makes watermarking images quick and painless. For the first 15 days, you have pro version capability, meaning that all the features in the pro version are accessible for free. Then after that, those will be revoked, but you can continue to use uMark for free with limited functionality. But don’t let that scare you away, uMark is a great program even without those features (it’s just even better with them). uMark supports text and image watermarking. You can also add a watermark which you previously saved in uMark. In addition you can have up to 2 watermarks in the free version (unlimited in pro), font customization, text and logo transparency, special characters, rotation and positioning, batch editing (up to 50 in free, unlimited in pro) and real time preview. We’ve already explored some of the comparisons between the free and pro versions, but for the complete list check out their comparison chart. And again, you get 15 days to use all of those pro features, so make the most of it. uMark batch edits 50 images at one time for free, although it does have a pro version. It does text and image watermarking, but isn’t portable. uMark is currently only available for Windows, but releasing a Mac version soon. My Watermark, created by My Portable Software, is a simple program with a clean interface which allows you to blaze through watermarking photos. There aren’t any drop down menus, so you don’t have to worry about finding a tool or feature – everything is right in front of you. When finding the images directory, I recommend copying and pasting it into the field, then clicking “Load Images” otherwise you have the mundane task of manually clicking through your computer’s folder hierarchy trying to find the folder. This program features the capability of adjusting the text watermark font, style, color, position, transparency and size (pixel and relative percentage compared to the photo). You can also apply to the selected image or all of the images in the folder. It also offers a “Verify now” button which allows you to check for any recent software updates, which is nice. Note that you may be prompted to donate with a 5-second delay when starting the program occasionally. My Watermark batch edits images and supports text watermarking, but does not do image watermarking. My Watermark is portable and is only compatible with Windows. There isn’t a pro version available, but you may donate. The list wouldn’t be complete without IrfanView – one of the best and most popular View, Resize, & Manipulate Image Files With Classic Utility IrfanView [Windows] View, Resize, & Manipulate Image Files With Classic Utility IrfanView [Windows] We all work with image files, all the time; be they graphics for the Web, corporate images for work, or just holiday snaps. These days there are more digital images than ever before. Windows comes... Read More image editors and viewers available. It too can watermark with both text and photos. The editing process is simple and full featured. IrfanView is no doubt one of the best ways to watermark photos. By default IrfanView doesn’t support batch editing. However, with plugins it does. Here’s a tutorial on how to do it. IrfanView also can text and image watermark, as well as having portable capability. It’s only available for Windows and does not have a pro version. Jouba Images Converter has been covered previously on MakeUseOf How To Batch Watermark Images with Jouba Converter How To Batch Watermark Images with Jouba Converter Read More and it seems like a great program, however every time I tried converting an image, it would crash. I’m simply listing it here to provide you with the knowledge of it incase you didn’t know about the MakeUseOf review and perhaps you’ll have better luck. Jouba Images Converter supports batch editing, text and image watermarking and is only available for Windows. It does not offer a pro or portable versions. FastStone Image Viewer does a lot more than viewing images and we’ve showed you that already FastStone Image Viewer - Undoubtedly The Best Image Viewer, Converter & Editor Bundle FastStone Image Viewer - Undoubtedly The Best Image Viewer, Converter & Editor Bundle Read More . It is certainly a robust image editor with the functionality to watermark images. However, it can only insert images in the watermark function. Of course you “watermark” an image simply by typing text over it, but I found this process actually quite cumbersome in FastStone Image Viewer. FastStone Image Viewer supports batch editing, but not text watermarking. It does image watermark photos and provides a portable version. It is only available for Windows and does not have a pro version, however there is other software by FastStone which is premium. 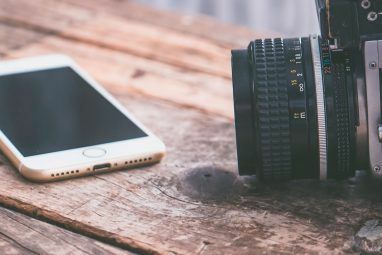 JetPhoto Studio is another program that we’ve covered briefly on MakeUseOf 3 Free and Easy Ways to Watermark Your Images Offline 3 Free and Easy Ways to Watermark Your Images Offline Read More and it is pretty good. The interface and easy way of actually getting started could use some improving, however. Also, the watermark function, like FastStone Image Viewer, only supports importing images, such as a logo. JetPhoto Studio supports batch editing and image watermarking. It doesn’t watermark with text. There is a pro version available and JetPhoto Studio works with Windows and Mac. There is no portable version for JetPhoto Studio. Functional without an Internet connection. Typically more features for a cheaper price, like free. Yet another program on your computer. Risks of installing additional programs if you aren’t careful. As you can tell there are many options that you have, but in reviewing all of these, only a few gems really stood out. In my personal opinion, the best online watermarking website was PicMarkr. For offline methods, there are quite a few really good ones. But the great ones are IrfanView, TRS Watermark and uMark. One method that wasn’t covered in this article that I feel should still be considered is mobile apps. There are a plethora of options available so if this is something you need to do on the go, perhaps you should search your app store and check out the reviews. Watermarking is essential any time you place your images on the Internet. I’ve been guilty of not doing it, but it’s dangerous not to as you’re basically asking someone to steal it from you. If you painted a magnificent mural, would you just let anyone claim it? Probably not. Photography is no different. Have you tried any of the above methods? Which do you prefer: online or offline? Do you have any other advice to share with readers looking to add watermarks to their photos? Share your thoughts in the comments! Explore more about: Image Editor, Image Watermark, Photography. As i asked this question to myself before few months ago. I got answer from someone that use masswatermark software. I just tried out and yes it's very easy use. Very good article. I am using Picassa since a very very long time but I ve never noticed that I could add watermark with it. Very useful for me. Thanks a million! I use IrfanView for almost all media manipulation, exclusively. Nice! 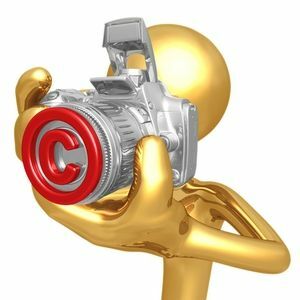 I really needed this to 'copyright' my photos! One thing to consider: why are you watermarking your picture? Depending on your answer you may want to go much further than just adding your name to the photo or its frame. However, if just adding your name to the picture is enough to meet your needs: 1) never never never add the ID over top of your ORIGINAL PHOTO on your computer - always always always do it on a COPY PICTURE - that way you can always do something else with your original and not have your ID in the way of its new use 2) consider placing your ID on your online picture in an area that CANNOT BE CROPPED OUT easily - I added the word 'easily' because everything can be altered if someone really wants to do it but at least make it hard for them. You're absolutely right! When writing the article, I kind of assumed those things, but they should definitely been stated clearly in the article, like you did here in the comments. I appreciate you sharing this. Watermarking does no good if it can be easily altered or completely removed. Also, what you said about not watermarking the original is key so thanks for adding that as well. I tend to assume less and add more explanation. It is a fine line between being informative and wordy. We all have made this article more informative. ImageWaterMarker...simple, direct, able to place watermark anywhere.